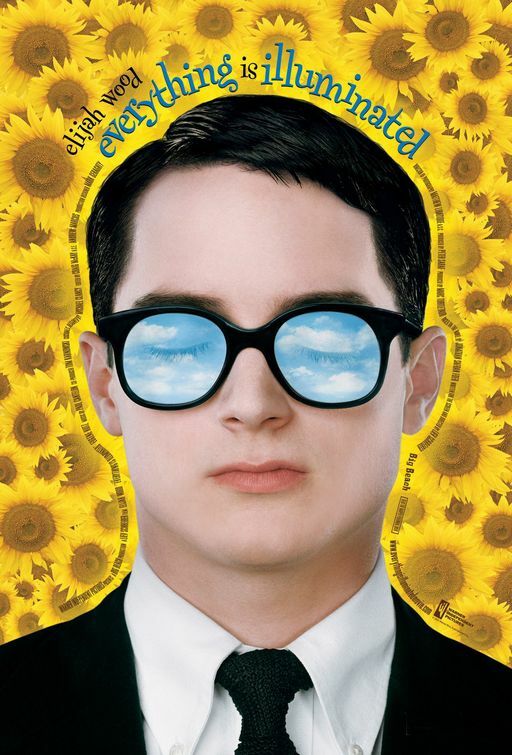 When a movie is called EVERYTHING IS ILLUMINATED, does this mean that the film is well lit? If that’s the case, then I guess everything actually is illuminated in actor-turned-director Liev Schreiber’s first film. However, if the intent was to refer to some mental or spiritual illumination, I would say “everything” is a vast exaggeration. Quirky characters do not automatically translate into funny ones. Three men make up the main characters on this road trip. They are Alex (Eugene Hutz), a young Russian, gangsta breakdancer who helps his father out by assisting author Jonathan Saffron Foer (Elijah Wood) on a tour to find a woman who can connect him to his grandfather during the second World War. They are driven around on this tour by Alex’s grandfather (Boris Leskin) who played his own sordid part in the war. Alex’s grandfather does not speak English and is the designated driver despite being legally blind. The assumption is he fakes it. Meanwhile, as the author of the book this film is based upon, Wood has white, pasty skin, a slick, geeky haircut and thick, dark-rimmed glasses. As a collector, he picks up little reminders here and there and places them in tiny plastic baggies. The image is comical but more caricature than character. Consequently, by the time anything meaningful or painful happens in these characters’ journey, you feel nothing as they were never real people to begin with.